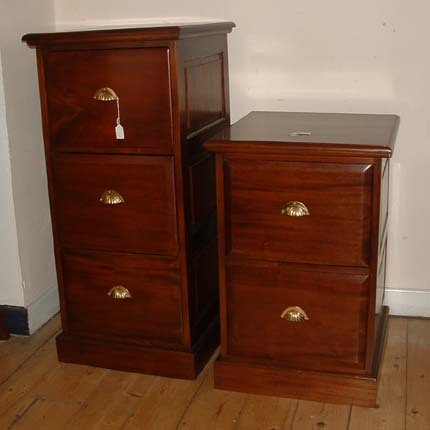 Solid mahogany 2 and 3 Drawer filing cabinets. With classic solid brass pull handles. Fit Standard files.